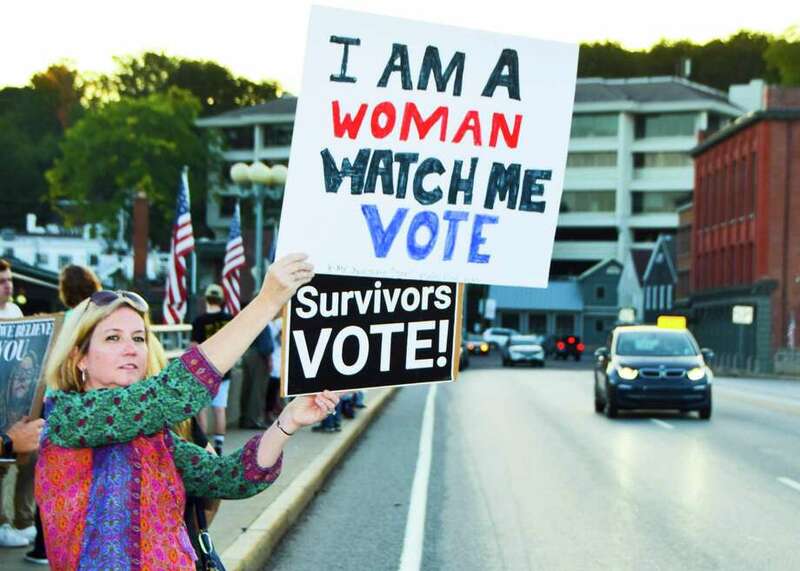 Westport resident Jennifer Welsh participated in the “Survivors Vote - Rally for Change” at the Rush Steinkraus Cohen Bridge in Westport on Oct. 7. “The main messages: 1. To show survivors we support them; 2. Not to despair Kavanaugh’s confirmation but to rise up and vote Nov. 6,” Westport resident Darcy Hicks wrote in an email to Westport News about the event’s purpose. Organized by DefenDemocracy of CT, a political action group Hicks founded in 2016, in conjunction with the fellow resistance group 203 Action based out of New Canaan, the rally brought together over 90 activists, Hicks said. People from New Canaan, Bridgeport, Norwalk, Fairfield, Wilton and Weston came to rally for survivors, including incumbent Rep. Jonathan Steinberg, D-Westport, and candidate Will Haskell, who is challenging incumbent Republican Sen. Toni Boucher for the state Senate seat in the 26th district. Many passersby honked and cheered in support of the protestors during the rally, which took place at the Rush Steinkraus Cohen Bridge in Westport from 5 to 6:30p.m. on Sunday evening, Hicks said.